June Conference, Holy Land Pilgrimage, CP Retreat - ALL REGISTERING NOW! We're delighted to announce our inaugural Spiritual Practices Conference, now just four weeks away. It will be held Friday-Sunday, June 16-18 at Elk Haven Wellness Center in Brevard. Registration has already begun, with a maximum attendance of 30 participants. CSW Director Rob Field and Program Director Tom Lewis will be the lead presenters, with Paula Benton and other CSW associates also participating. The focus of the conference will be core spiritual practices to help deepen one's relationship with God, neighbor, self and the world. Lectio divina, narrative journaling, Centering Prayer, eco-spirituality and the Enneagram ("soul mapping") are among the practices that will be taught. Each day will begin with contemplative worship, and the conference will be experiential and interactive. Friday & Saturday: 9:30 a.m. to 4:30 p.m.
Sunday: 1:00 to 4:00 p.m.
On Friday and Saturday, there will be a midday break to allow participants to go out to lunch or enjoy food they bring with them. We recognize this is a holiday weekend, so we will meet on Sunday afternoon only, ending at 4:00 p.m. for those with special plans for Father’s Day. This event is intended for Christians and seekers open to the wisdom of spiritual practices grounded primarily in the Judeo-Christian tradition. REGISTER HERE by June 1 (please note: registration may close before June 1 if 30 individuals register before that date). 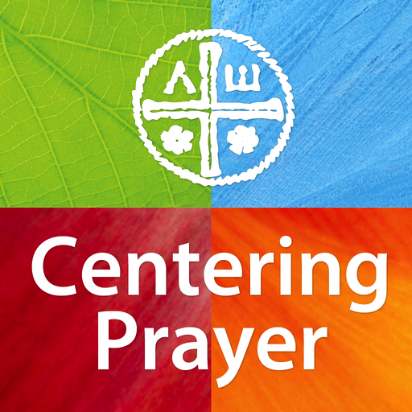 A two-day introduction to the transformative spiritual practice called Centering Prayer. Day 1 (Saturday) is the complete introductory workshop, beginning at 9:30 a.m. Part 2 begins that evening: a mini retreat to help participants practice what they've just learned. Departure is Sunday at 3:00 p.m. The setting is the rustic, comfortable Valle Crucis Conference Center, which hosts numerous spiritual retreats and conferences each year. Rob Field (CSW Director) and Becky Hannah, Area Coordinator for Contemplative Outreach in Asheville, N.C. Rob and Becky have led many Centering Prayer workshops and retreats, including multi-day retreats. Cost for the weekend is $140, including room, board and all program costs. For an additional fee, participants may arrive on Friday, enjoying dinner that evening and breakfast the next morning before the retreat begins at 9:30 a.m. on Saturday. Get details at the Valle Crucis Conference Center web site. or download the registration form HERE. You also may call (828-963-4453) or email the staff at Valle Crucis for further information. E-news will return late summer. 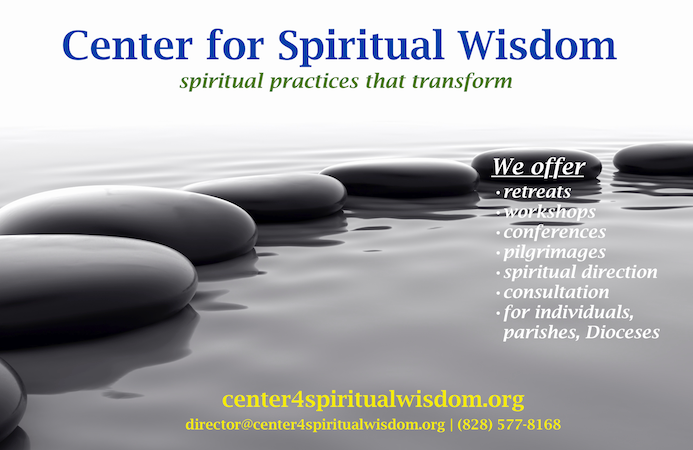 Here at Center for Spiritual Wisdom, we will spend the next two months planning workshops, group experiences & conferences for the fall and beyond. We also will enjoy some sabbatical time with family and friends. CSW E-news will return later in the summer. Meanwhile, we invite you to take time to stop, rest and smell the roses. We are organizing a pilgrimage to the Holy Land February 23 through March 8, 2018 — and we can't wait to tell you about it! Program Director Tom Lewis, an experienced pilgrimage leader, will lead the group. Pilgrimage is a special type of journey that focuses on spiritual growth and renewal as we visit sacred places. A pilgrimage is a retreat on the move for the purpose of transformation. 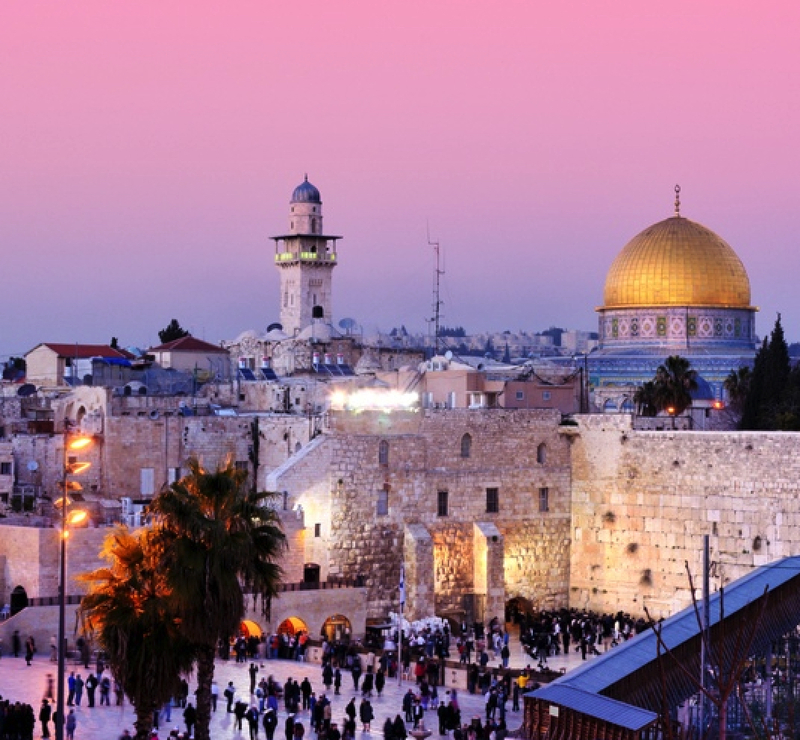 The focus is Israel, where we will absorb the sights, sounds, smells of an ancient land that is spiritual home to three of the world’s great religions. Many past participants say this program is “the trip of a lifetime”. The Rev. Tom Lewis has been the leader for seven pilgrimages to the Holy Land. He is retired from Columbia Theological Seminary near Atlanta, GA, where he served as Director of the Spirituality Program. The Rev. Rob Field (director of Center for Spiritual Wisdom) and Jane Hubbard (a leadership consultant and participant in an earlier pilgrimage) will assist Tom in leadership. Travel arrangements are made by Academy Travel International, which has been organizing educationally-oriented travel for 35 years. They were the trip organizers for Tom's previous pilgrimages, and have worked closely with him to insure an optimal, high-quality experience. Visit ATI on the web HERE. The daily pilgrimage schedule includes contemplative devotions in the morning, excursions to historic sights, small group reflection and discussion, and closing worship in the evening. There will be spaces built into the schedule for rest, reflection and spiritual direction. SPACE IS LIMITED TO THE FIRST 20 PEOPLE who register and pay a $500 deposit. The total cost for the pilgrimage is $4,560. For further details and a link to register, go to this page at the CSW web site. Copyright © 2017 Center for Spiritual Wisdom, All rights reserved.